Grab your friends and co-workers and swing for the fences in a Dallas Sport & Social adult softball league. We offer multiple nights of play and are one of the biggest adult leagues in Dallas! This is the perfect league for adults and young professionals who want to get active and be social. 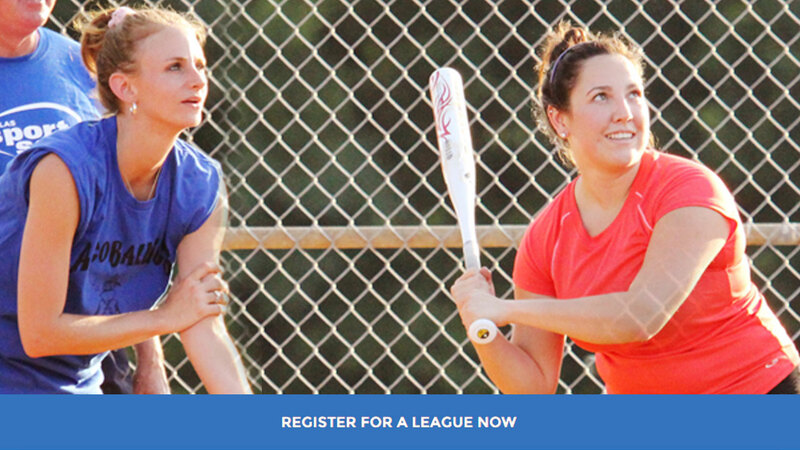 We offer men's and coed adult softball leagues. Games played at Glencoe Park and Fair Oaks. You can always sign up as an individual if you don't have enough for a full team. Check below for details on current leagues.